Summertime Nature in New Jersey. 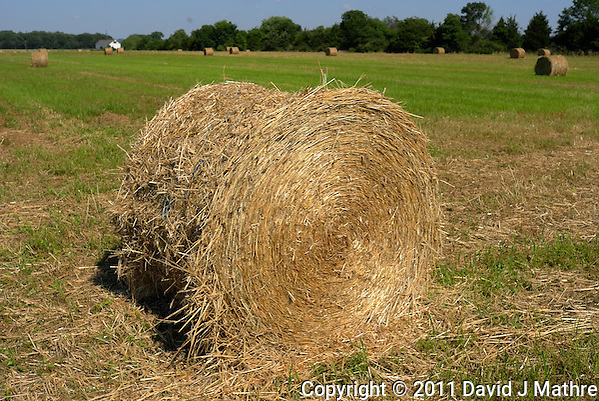 Freshly cut round hay bales at a local farm. Freshly Mown Round Hay Bale. Summer Farm in New Jersey. Image taken with a Leica X1 camera (ISO 100, 24 mm, f/6.3, 1/800 sec). Out of the camera jpg image (no post processing).